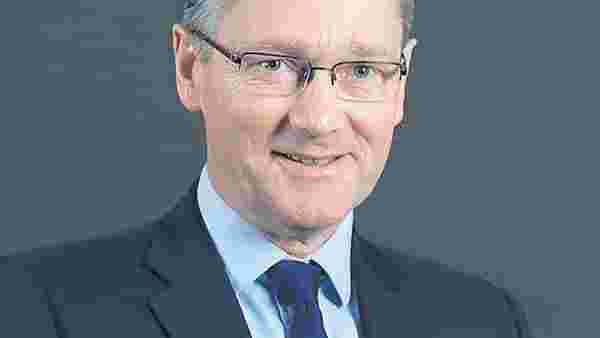 Mumbai: Embassy Office Parks REIT has the capability to acquire new office property worth $1.5-2 billion without diluting more equity, according to chief executive officer Mike Holland. Shares of Embassy Office Parks, India’s first REIT (real estate investment trust), which debuted on Monday, closed at ₹314.10 apiece on the BSE, up 4.7% from its issue price of ₹300. It is backed by global private equity firm Blackstone Group LP and Bengaluru-based developer Embassy Property Developments Pvt. Ltd. The Embassy Office Parks REIT IPO was subscribed 2.58 times during its initial share salebetween 18 and 20 March. The IPO saw the REIT raise a total of ₹4,750 crore. “You can break our future growth into internal or organic growth and external or inorganic growth. Our internal growth is a total of 7.9 million sq. ft of on-campus development. That takes us from the current operational capacity of 25 million sq. ft to 33 million sq. ft,” said Holland. The REIT will also look at external acquisitions. “These could come in two forms, either as part of ROFO (right of first offer) agreement with our sponsor Embassy. They offer and we decide whether we want to acquire that property. There is a total of 40 million sq. ft that Embassy is obliged to offer to us,” said Holland. The REIT will also go out in the market to look at third party properties, he said. “We will look at that making sure it fits our overall theme, which is large scale commercial space, business park kind of property which dominates its micro-market. There is a unique capital gains tax benefit that a listed REIT has in India, which allows us to be more competitive on such acquisitions compared to others,” said Holland. Given the low level of debt that the REIT has, which is 12% of market value of assets, there is significant headroom to raise debt up to 49%, as allowed by the regulations, to grow the portfolio, he said. “Given the headroom, we can acquire office space of around $1.5-2 billion without having to raise more equity,” said Holland. The REIT’s portfolio has an occupancy rate of 95% with more than 160 blue-chip tenants. Office properties that are part of the REIT include the Express Towers at Nariman Point in South Mumbai and First International Finance Centre in the Bandra-Kurla Complex. The REIT’s IPO was subscribed largely by foreign institutional investors such as Fidelity International, Capital Group, TT International, Schroders and others. On the domestic side, investors such as Kotak Mahindra Life Insurance Co. Ltd and the family office of Radhakishan Damani, the promoter of Avenue Supermarts Ltd that runs the D-Mart chain of supermarkets, participated in the offering.